CVR Uniforms – Clean. Professional. Uniforms. LARGE OR SMALL, WE ARE INVESTED IN MAKING YOU LOOK GOOD. With over 6,000 men and women in uniform, we are here to help you present your company in a positive light. Find pre-approved apparel for your company or team in our online store. With rental uniforms, mats, mops, soap and restroom services. We provide you the tools to make a great one with clean, professional uniforms and apparel. First impressions are important. How your employees are dressed when they are out in the world is how customers view your brand. 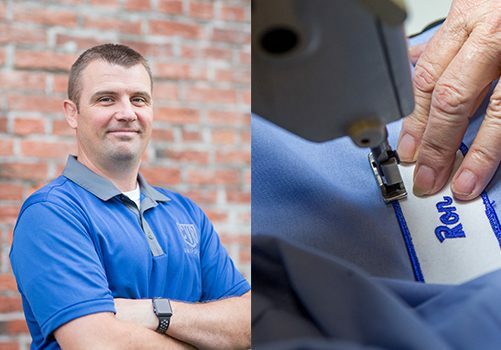 Clean, professional uniforms with your logo and brand colors will give your company instant credibility and customers will feel like they are in good hands.